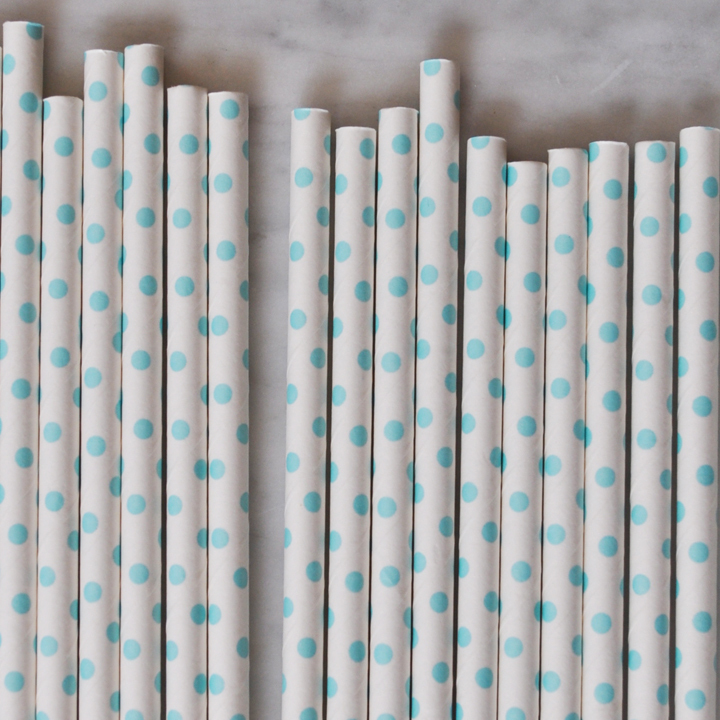 Tine blue dots decorate this lovely set of white paper straws. 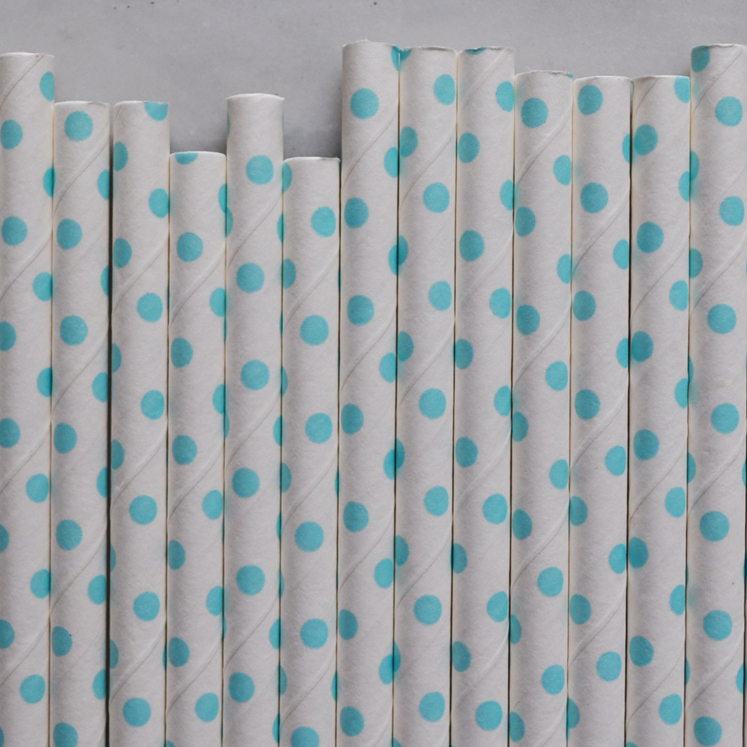 Whether you're serving a yummy Eggnog, Frozen Shirley Temples, a Holiday Punch, or a Kir Royale, nothing will liven up your drinks and be a better retro and Christmassy companion than these "pixie stick", tiny dots paper straws. Straight-out of a soda shop, their spiral-winding design mimics the original first ever paper drinking straws!